If you have been walking “Side to Side” within my blogging journey, then you’d know how I got this product and two more for free! Targeted your curiosity bug, did I? Then know more about it here. I do wanted to try out ‘Wild Earth’ products from the last 2 months but it slightly ruins my mood when websites (not that of Wild Earth) adds on shipping charges along with additional increment in case you are not paying through any monetary cards but choose COD! Anyways, enough of my issues! Lets’s begin. 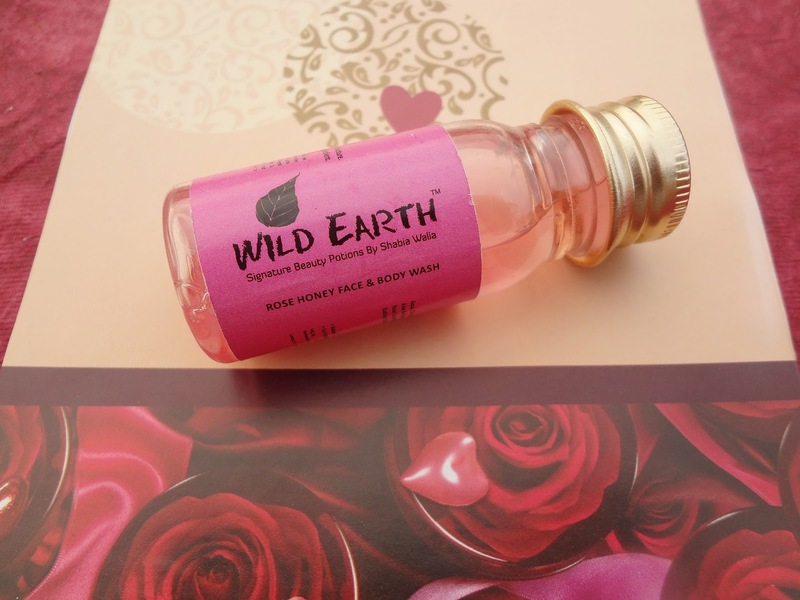 About the Brand: ‘Wild Earth’ is a socially conscious brand and we believe in giving back to the society. A part of the money you spend buying a ‘Wild Earth’ product goes towards uplifting the lives of the underprivileged through our initiative ‘The Bluebells Community’. To know more about ‘The Bluebells Community’ and how you can help or contribute, log onto www.wildearth.in. · Socially conscious brand (which they forgot to add onto their info but I feel it is really important for a brand to give something back to its community). Ingredients: Aqua, Cocoamide D.E.A, Cocoamido Propyl Betaine, Aloe Barbadensis (Aloevera), Glycerine, Honey, Rose Essential Oils, Tocopherol (Vit. E), Panthenol (Vit. B5), Sodium Chloride, G.M.S, I Urea, Sodium Benzoate, Citric Acid. 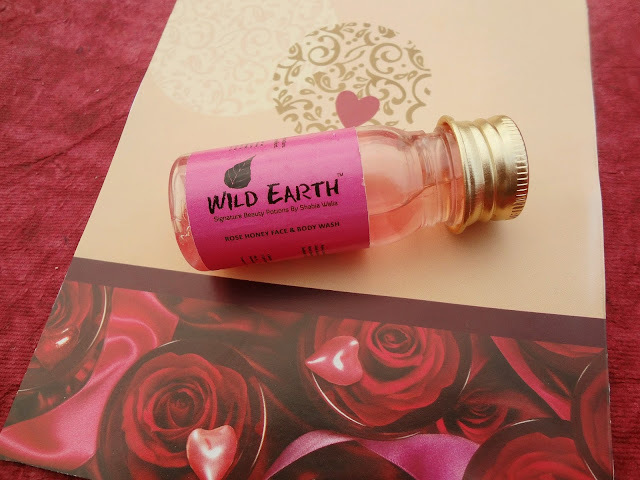 Price: INR 65 for 25 ml of the product. Packaging: When I saw a travelling kit by ‘Wild Earth’, I really felt the need to try it out. Supposedly, I was working for my internship and this was available onto their website. The packaging is so adorable! It comes is a small plastic bottle which isn’t opaque, and the lid is kinda rose gold. In terms of packaging, I won’t mind shelling out full marks for it. 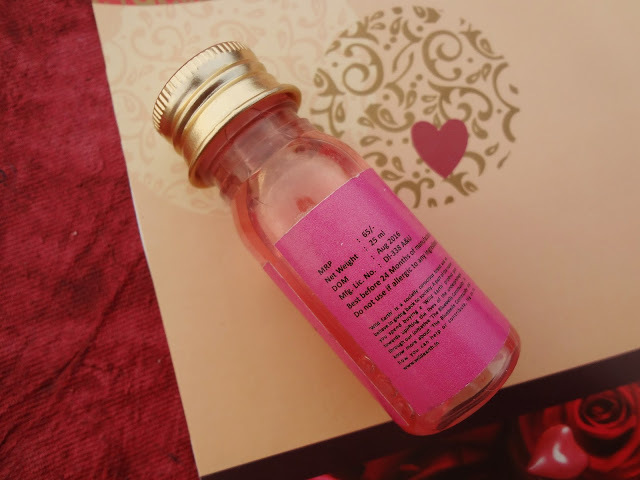 The labelling is done on a pink paper and the content within the bottle itself is pink. So, it resembles a rose inspired romantic theme I presume. Sometimes, I am really into those weekend exaggerated pampering baths. On usual days, it’s just a soap, face wash and shampoo. But this Rose Honey Face & Body Wash, I saved for the special weekend baths. It smells heavenly of roses! When the plastic stopper was onto the bottle, I could sniff it even then. It was actually the first thing that made me go gaga over this product. Next up, I used it while taking a shower and it does not dry out the skin. The honey within, makes the skin smooth but for the dry skin type people, you would still need to slather on a layer of moisturizer. Also, a little product itself is enough to give a complete wash. The honey too has the potential to fade away acne scars, so it’s also a good pick as a facial cleanser. But since I have an extremely oily skin, I stick to my usual face wash and restrict it only for a luscious bath.